I ended up in Cienfuegos after the cool taxi drive with Miguel. I stayed at the same casa that the russian tourists were heading to. The casa owners were a young couple, Yanetsy and Wilian, I haggled with them on the price of the room with all the strength and stamina I developed from years of living in Egypt. I must say that I felt guilty doing this in Cuba, being torn between knowing I have the finances of a first world citizen and the fact that I want to prove that I am not a first world citizen. Anyhow, I always ended up making amends one way or another on my own terms. Next morning, I had breakfast at the kitchen with Yanetsy and Willian instead of having it at their terrace, they half-joked that I should be cleaning the dishes for ripping them off on the price and I half-joked that I like them so much that I would marry Yanetsy’s sister, la mulata, and stay in Cienfuegos forever paying nothing. Afterwards, I went walking around the center of Cienfuegos, and shortly realized that there isn’t much to see. I decided to take an excursion to a nearby waterfall and started approaching other tourists with the idea of sharing a ride to the waterfall. Whenever I approached one of the tourists, they would think I am a Cuban jinitero and they wouldn’t even listen. At the end, I gave up on the idea and started wandering around when I bumped into Jose Miguel, a russian tourist guide I met at the casa the day before and we started walking around together. He was also having a frustrating day as he failed to find any russians to do business with so he decided to give me a free tour of the city center. Jose Miguel seemed to know everyone in Cienfuegos, he kept meeting people he knows and sharing short friendly conversations with. One of the people we met was a young man called Amet, he told me that he is an artist and that they have a gallery – informally called the rastafari gallery – near the malecon. Later, feeling bored already, I started walking towards the malecon and I passed by the rastafari gallery to meet Amet. I was very hungry so he took me to a local moneda nacional restaurant warning me that this place should be kept as a secret from tourists so that it doesn’t get ruined. At the gallery, I met a friend of Amet, a Hungarian girl called Betty who was also traveling around Cuba. We quickly hit it off, and decided to head to the next city – Trinidad – together the next day, I told her about my earlier failure to lure other tourists to go to the waterfalls and told her I might do with the help of a white girl by my side! She was totally sold on the idea and we quickly joined force to target tourists to join us for our trip. The theory did work and the first people we approached together immediately agreed on joining us. They did bail out on us eventually but the experience was enough for me to enforce my prejudices about westerners’ prejudices. At night, I went back to the gallery where I got to know more of the rastafari artists. Carlos, a charismatic leader of the group explained to me the idea of the gallery and their project – k’ bola – that organizes cultural activities in the city mainly trying to spread reggae and alternative music types among the youth of the city. Another member of the group is Franc, an impressive person, a fisherman/artist/devoted rastafari who is full of life and positive energy, a delight to be with. Amet, Franc and me walked around waiting for Betti, when we bumped into Mr. Franc Iraola. I would talk about Mr. Iraola but I think he deserves a separate post just dedicated to him. Betti showed up eventually and we headed the four of us – Betti, Amet, Franc and me – towards a local night club. It was totally different from the other touristy places I saw, there were barely any foreigners there. It was amazing how – once the music started – everyone were up on their feet and dancing on the piste. 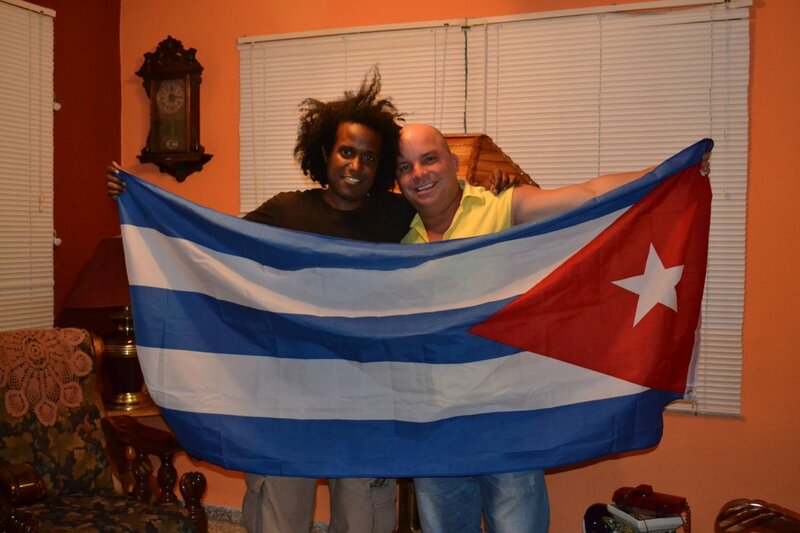 Stereotypes often are a blunt exaggeration but when it comes to Cubans and their passion for dance, that is one stereotype that hits the spot. Next morning, I got a verbal slaughter by Yanetsy for being so late the night before. I also got one from Willian the night before, telling me how worried they were (I was out from 9 in the morning until 4 in the next morning). Yanetsy and Willian were an unexpected wonderful addition to the trip. 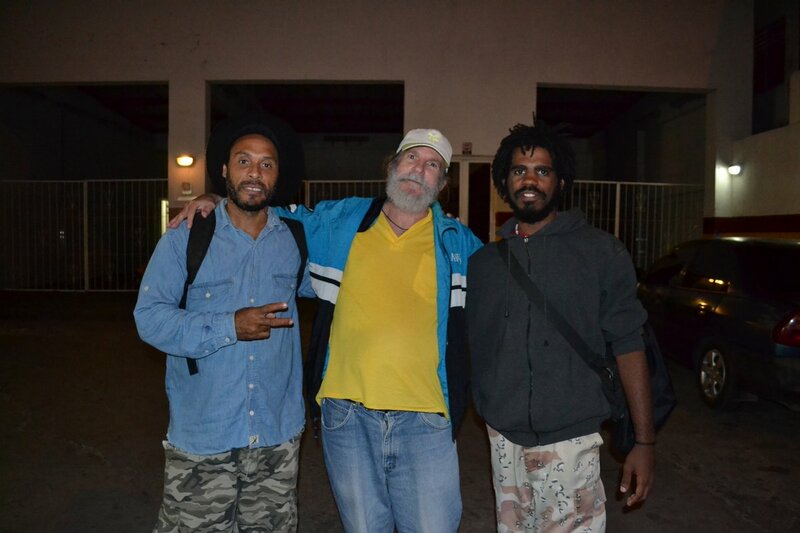 Thanks to them and Amet, Cienfuegos turned out to be my favorite city in Cuba. Once again, traveling proves to be completely about the people and the friends you make along the way. I met Betty around 10 in the morning and we went to the bus station to find a way to get to Trinidad. Instead of waiting for the bus, we took a collective taxi, it was cheaper than the bus and would leave immediately. The taxi had two other tourists from Switzerland who paid double what we paid for the same trip. The taxi driver let us get in the taxi instructing us not to let them know how much we paid, a conspiracy that I took part of without hesitation for some reason. We spent the rest of the day walking around trinidad. It is definitely one of the most beautiful and scenic cities of Cuba, and we were lucky that our visit coincided with the 500th anniversary of the city, so there were celebrations planned everywhere and people dressed up and painted their houses with beautiful bright colors to celebrate the occasion.